The referee blows the whistle, you go to the free throw line, the charity stripe so they call it. Everybody should make their shots from the line, it's just you and the hoop; that's it. No defender, only thing that can get in your way is thinking about what you had for dinner last night. Since you already know how to shoot a basketball, now you're simply shooting it 15 feet away from the basket, piece of cake. One of the most important keys is rhythm. 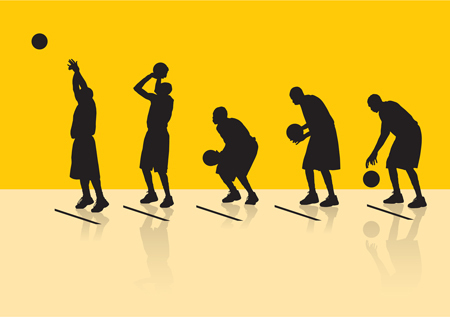 You want to develop the same rhythm or routine every time you're at the line. Don't think just DO. Sometimes, people will try to psyche you out or distract you, just remember how perfect you were in practice. Oh and it doesn't hurt to clear your mind and block everything else out. When your mind gets to loud, that's when you miss. Remember, this is a free throw; it's FREE. 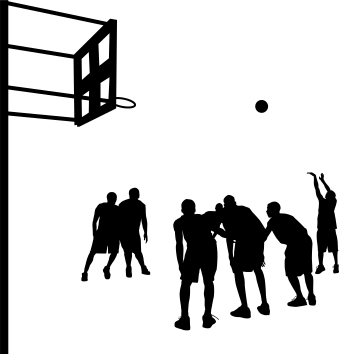 With good technique and practice, there's no reason whatsoever that you shouldn't be automatic from the line.